Click the photos to view each of the bird-themed candle holders up-close. Description: This red cardinal candle holder measures 8 inches high by 6 inches wide, stands on a 5 inch deep mirror base and includes a glass votive candle cup. The back ground is made from clear glass with a "Jack Frost" pattern. 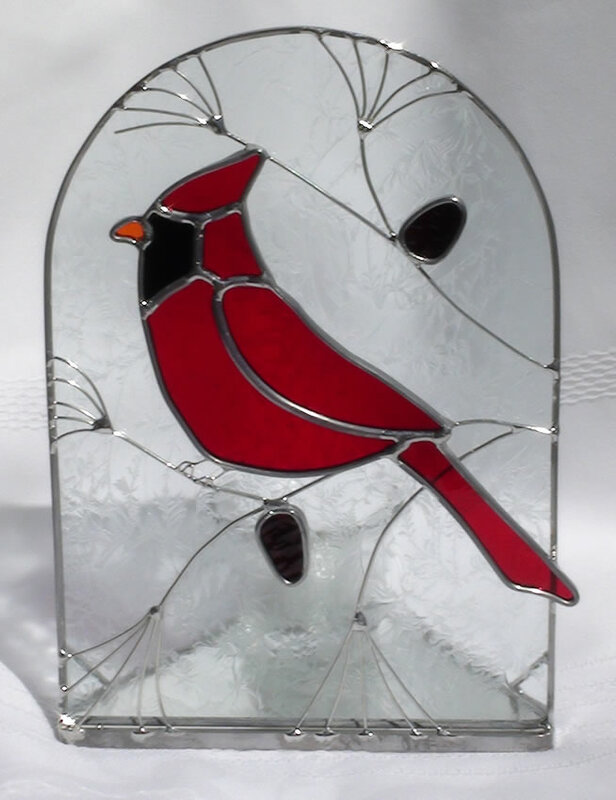 The leaded glass cardinal sits on branches made from wire. Both are attached and overlaid in front of the background glass. Brown glass pine cones also hang from the branches. Enjoy this cardinal with soft candle light at night and in the bright daylight. Hanging cardinals are also available in other listings and make great companion pieces to create an ensemble. DESCRIPTION: A black capped chickadee sits on wire pine branches with little brown pine cones. A background of black and clear swirled glass frames the black , white, gray and amber of the chickadee. Both the background and wire branches are attached to a mirror base. A votive candle cup and candle are included. The entire piece measures 8 inches high by 6 inches and the base is 5 inches deep. 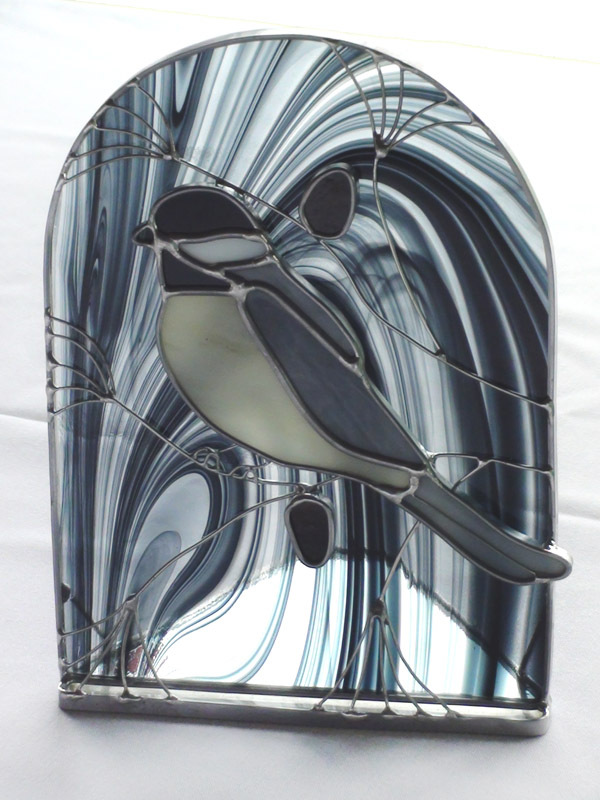 This elegant decorative piece can be matched with additional stained glass chickadee art pieces found in other listings.